The jetty component provides HTTP-based endpoints for consuming and producing HTTP requests. 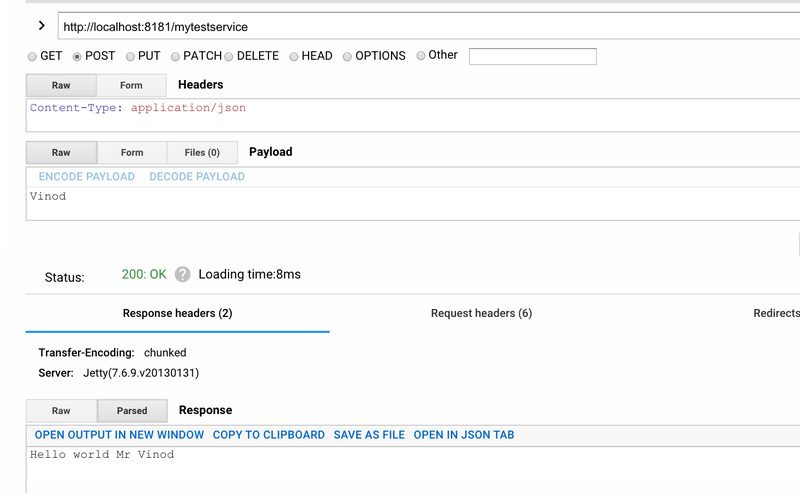 Here is one simple example to expose a jetty end point and serving the http request from REST client. 1. Create Maven project with below dependencies. 2. Create a Simple Route to expose Jetty endpoint.